Kendall Jenner Parties with a Mystery Man; Is He Kendall Jenner's New Boyfriend? Kendall Jenner Parties with a Mystery Man; Is He Kendall Jenner’s New Boyfriend? Kendall Jenner partied hard with her friends during London Fashion Week and continued the party in Milan with A$AP Rocky. Who is Kendall Jenner dating? We think we might have an idea. 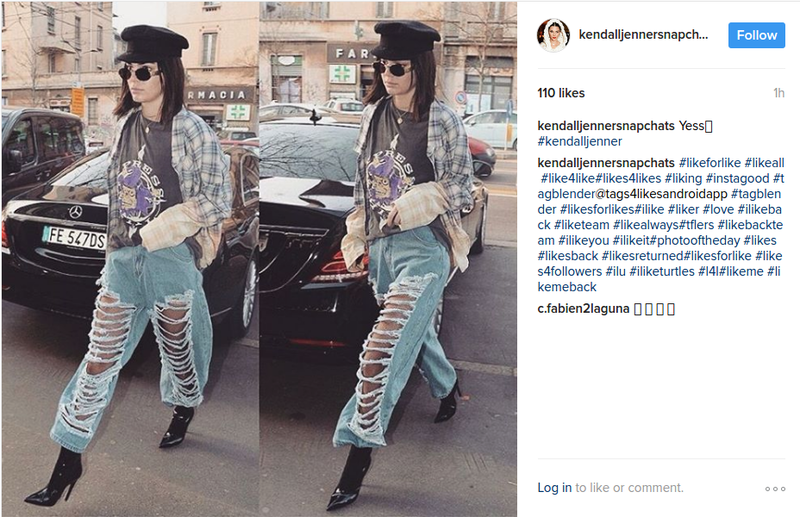 Kendall Jenner was out and about during Milan Fashion Week. The Victoria’s Secret Model kept it casual wearing an oversized plaid shirt paired with baggy ripped jeans. She kept her look simple yet stylish and looked amazing. Although Kendall walked the streets of Milan alone during the day, she joined her rumored boyfriend A$AP Rocky at night. Kendall Jenner’s Snapchat stories reveal the two were at a club with some friends last night (February 22). The rumored couple can be seen dancing and having a good time. Speculation of whether or not the two are dating have been going around for some time now. However, Kendall is not vocal about her personal life and likes to keep it that way. One clip shows Kendall Jenner leaving the club with Rocky A$AP by her side. He has his arm around her as they exit through the stairwell. Kendall and her rumored boyfriend were spotted entering the same hotel together. Though we do not have any details about their relationship, the two were also seen together during New York Fashion Week. Though Kendall Jenner and Rocky A$AP have not confirmed their relationship, we are sure to see them together soon. After all, Paris Fashion Week is just around the corner and both are expected to be there.